Minnesota Citizens Concerned for Life Global Outreach (MCCL GO) is an international non-governmental organization working to secure full human rights for all human beings from conception to natural death. MCCL has consulted and advised like-minded non-profit organizations in nearly 60 countries. MCCL enjoys consultative status with the United Nations Economic and Social Council and is a civil society organization registered with the Organization of American States. The first 1,000 days in the life of a human being—from conception to the second birthday—dramatically shape the rest of a child's life. They are also critical to the well-being of mothers. Prioritizing this window of time will save lives, improve health, and contribute substantially to sustainable development. Healthy women, children, and families contribute enormously to development. 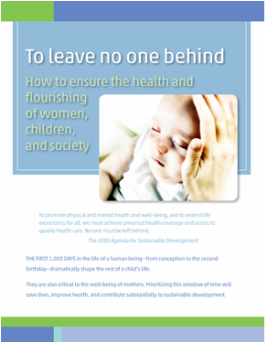 The 1,000-day continuum of care for mothers and babies must be prioritized in the sustainable development agenda. Click on the image above or see the Resources page to view this publication. It is available in English, Spanish, and French. On the "Donate now" page, use the Designation pull-down to select MCCL GO. One day, as he was walking along the shore, he looked down the beach and saw a human figure moving like a dancer. He smiled to himself at the thought of someone who would dance to the day, and so he walked faster to catch up. "I must ask, then, why are you throwing starfish into the ocean?" asked the somewhat startled wise man. To this, the young man replied, "The sun is up and the tide is going out. If I don't throw them in, they'll die." Upon hearing this, the wise man commented, "But young man, do you not realize that there are miles and miles of beach and there are starfish all along every mile? You can't possibly make a difference!" 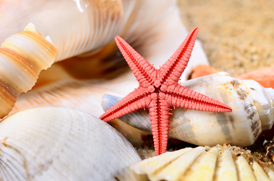 At this, the young man bent down, picked up yet another starfish, and threw it into the ocean. As it met the water, he said, "It made a difference to that one." There is no greater form of discrimination than to end another human being's life because that human being is unwanted, imperfect, or unloved. We must work toward the day when each and every human being is empowered with their full human rights—the paramount of which is life itself. 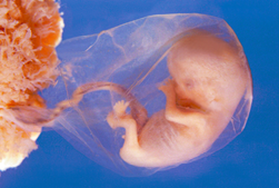 The greatest educational system we can build will never teach the unborn child killed by a saline abortion. The greatest roads ever constructed will never be traveled by a disabled person who is denied nutrition and hydration. And the most advanced health care facility will never treat an elderly person abandoned through neglect. Human life itself is the genesis of all rights. It is only with a secured right to life, to be born, from which other rights can flow. Let us come together as compassionate human beings, understanding of each other’s plight, to protect one another. Let us remember and call to mind the Universal Declaration of Human Rights of Dec. 10, 1948, which states in Article 3, "Everyone has the right to life, liberty and security of person." Let us also recall from the Declaration of the Rights of the Child (Nov. 20, 1959) that "the child, by reason of his physical and mental immaturity, needs special safeguards and care, including appropriate legal protection, before as well as after birth." Note: The MCCL Education Fund accepts the United Nations terminology regarding Taiwan, Province of China. © COPYRIGHT 2017 MCCL GO. ALL RIGHTS RESERVED.